Dedicated servers are the only way for a team to play games together. No scrabbling around the web in search of some high-ping horror that just happens to have the right slots, no idiots leaping in the split second your Medic times out, no being trapped under the imperial yoke of someone else's rules and favoured game options. Whether you want to play a game, mode or mod that simply isn't that popular online, or to avoid a particular map in regular rotation, here's how to do it. The majority of game servers, and about 99.9 per cent of rentable servers, are for FPS games. Other genres, such as strategy, operate slightly differently, with the player who created the game in the first place hosting for the duration – the details are simply offered within the game itself. That's a much less practical solution for FPS titles due to the amount of data constantly being pinged around, the speed at which it has to reach its destination and the amount of complexity involved in keeping the whole game flowing. As such, the heavy lifting is typically passed on to at least a different program, if not an entirely different machine. Sound good? Here's the catch. Dedicated servers are currently under fire from certain parts of the gaming industry, who would much rather wrap their functions into a wider, easily commercialised ecosystem – or at least one that they take a cut from. The main argument against servers from their side is that they want to control the quality of the experience, though in practice it's more that it's harder to have things like in-game transactions and levelling systems in that kind of Wild West environment. Generally, the quality benefits don't turn out to be that great, but it doesn't matter. Call of Duty: Modern Warfare 2 led that charge, and while not all its rivals are on board (Battlefield 3, for instance, made a point of saying it would have dedicated servers), many others will follow suit in the next few years. It doesn't necessarily matter though, as gamers are an industrious breed and often fight back. While we can't get into the details here for boring legal reasons, there's at least one spectacularly unofficial Modern Warfare 2 dedicated server tool out there, and it's only the latest in a long line. 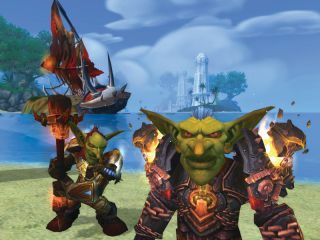 The most infamous of these servers are the many MMORPG 'shards' you can find, where people have reverse-engineered the likes of Ultima Online and Everquest and even World of Warcraft and started up their own communities. These often have different rule sets, like much faster levelling or even instant access to top-tier equipment, though at the cost of player base and available content. But let's back slowly away from that, returning to the safety of server types that wouldn't get you a clip round the ear for running. The first thing you need to decide when creating your own is whether or not your personal internet connection will be able to handle it. This depends on two obvious factors – how good it is, and how much data the game you want to play pumps out. Yes, we know. Sorry about your eyes. The question isn't purely a matter of power though, but stability. Home connections are often throttled at peak times, and slowed down by the great unwashed doing stuff in other houses. If you want your group to play whenever they like, you're also looking at leaving your PC on 24/7, which will unquestionably cheer the electricity board, but not necessarily the bill-payer/bill-payer's spouse. Renting is typically the best option then, and there are two basic options. The first is to rent a pre-configured game server, which is by far the cheapest option. This is done per-game, and paid for by slots – assume around 50p per person, per month. It might be up to £1 for more modern games though, and a little bit less for older ones. The downside of this approach is that it's still a pre-packaged deal. Only your group gets to use the server (if you assign a password to it), but you can't necessarily add whatever mods or maps you want to it on the fly. This inevitably varies per game and per service, but possibly not to the extent you'd like or need from your system. If so, the next level up is a dedicated server for your dedicated server. (Sorry, but we didn't make up the jargon.) This will be slightly different to the ones you'd buy from a dedicated web hosting company due to being geared around games. Expect to pay between £50 and £100 a month, and for the process to be much more complicated than just paying a few quid and firing up a game to enjoy your new realm. It'll almost certainly be Linux-based, and while support will be available, you'll be expected to do the work of getting the games you want running on it via terminals and other fiddly systems. If you're not comfortable with that, you're best off saving your money. Part 1: Minecraft? Nein! Yours! Minecraft makes server creation as easy as pie. Go to the website and click 'Downloads' to find the server. Run the file. Give it a few seconds to create a default world and your server is up and running. To play, load Minecraft, enter Multiplayer mode and type 'localhost' as the server. Friends will need your IP address, and for you to do any necessary port-forwarding on your router, to connect. As the server admin, you have many powers. From the console, type 'tp [player1] [player2]' to transport someone to another player's location, or 'kick [player]' to cast someone into the abyss. You can give out free stuff, make other players moderators, broadcast messages and much more. It's considered polite not to abuse these though, especially if the people you're trolling are close enough to come and punch you for it. This is where the magic happens, letting you do things like assign a specific random seed to the world. Just running the server gives you an excellent starting point, but a few tweaks here can dramatically alter the game. You can also set your server up with a view to running specific mods. Some simply make it easier to admin, others add cool new features like magic. Check www.minecraftwiki.net to see what you can do. As ever, you'll need the client and the server – both found in Steam. Start by installing TF2 and making sure it works. While it downloads, click on the main menu in your Steam library, click 'Tools', and check out the servers available for your Steam purchases. Many of the details of setting them up will be similar, though each will have its own style and quirks. Always check the web for instructions first. We're not going to use these here though. Instead, download www.steampowered.com/download/hldsupdatetool.exe and run it. Next, click 'Start', type 'cmd', navigate into the directory you put it in, and enter the command 'hldsupdatetool -command update -game tf -dir [your directory]'. This will take a while because it has to download TF2 again. The last thing you want to do is set up every last little detail yourself. Instead, visit the Steam forums and copy and paste the generic TF2 server configuration into a text files. Save this in your server directory as 'server.cfg', making sure that it doesn't have a .txt extension as well. With this in place, your server will cover all the basics for you. Part of the fun of running your own server is being as paranoid or as liberal as you like, so where better to start than deciding how much you want cheaters to prosper? All TF2 servers are VAC (Valve Anti-Cheat) protected by default, but if you add the line 'sv_pure = 0' to server.cfg, players can do things like replace all enemy models with white billboards. Set it to '2' to enforce original game files. More advanced edits are beyond the scope of this tutorial, but very possible. At GTFO Gaming for instance, you'll find cut-and-paste code to alter the TF2 respawn times. At Special Attack you'll learn how to create a message of the day. Finally, check www.dodbits.com for a full list of all the variables (CVARS) you can play with. There's a good chance that the download will be interrupted mid-way. Don't worry. Start it again and it should pick up where it left off. Once done, you can fire up the server and connect via the standard server browser. As ever, be sure you have the right port forwarding options on your router before trying to invite friends, or they're unlikely to even get through to your server in the first place. Do you rent a specific game server or a dedicated machine? In most cases, you're better off doing the former. The main UK hosts support all the major ones you're likely to play, and even if you have to split your attention between a couple, it's going to come out cheaper. Dedicated servers are far more hassle, unless you want to play something hyper-specialised or many different games on the unit. If you're willing to pay a little extra, there is some middle-ground – managed dedicated servers. You don't get root/admin access, but you should get FTP and you don't have to worry about things like security or software updates. The company handles that, giving you a control panel where you can access the settings. It's worth considering if your group has yet to pick up a Linux geek. Don't be too concerned by the specs of your dedicated host. It doesn't have to play the game, so it won't have expensive graphics cards and other components. At the same time, regular web hosts' machines may not be powerful enough. Look for at least dual core with 4GB of RAM, and more for games with big player counts and complex world interaction. More than £100 a month is likely overkill. Yes, dedicated servers are expensive. If your heart flutters at the thought, you'll usually be fine renting slots for the games your group plays. That's between 50p and £1 for most server hosts, which will give you various admin rights, but not the same deep-down control. You don't need one per player, just per simultaneous player. If you have two squads for instance, one set of slots will be fine.